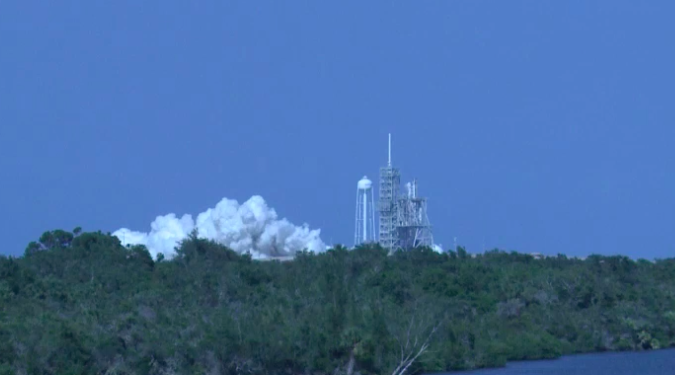 Hotfire tests are customary milestone in all SpaceX launch campaigns. The launch team uses the practice countdown to rehearse procedures and wring out any problems in the rocket and ground systems. The launch time Sept. 7 has not been released. Ground crews will lower the Falcon 9 rocket and return it to SpaceX’s hangar this weekend, where technicians will connect the launcher with the Air Force’s X-37B spaceplane, or Orbital Test Vehicle, cocooned inside the rocket’s payload shroud. The rocket will roll back to pad 39A next week for the final countdown. The Air Force has not launched an X-37B spaceplane with SpaceX before. Four previous X-37B missions, using two different reusable vehicles, lifted off on United Launch Alliance Atlas 5 rockets and landed on runways in California and Florida. 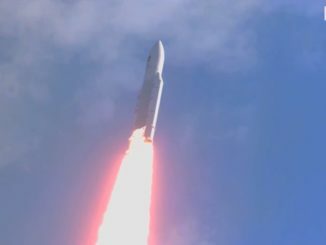 Military officials revealed new details Thursday about the upcoming X-37B flight, known as OTV-5. The Air Force said the mission carries multiple small piggyback satellites, but officials did not identify the payloads or disclose whether they will be deployed from the X-37B spaceplane or the Falcon 9 rocket itself. “The fifth OTV mission continues to advance the X-37B’s performance and flexibility as a space technology demonstrator and host platform for experimental payloads,” the Air Force said in a press release Thursday. “This mission carries small satellite ride shares and will demonstrate greater opportunities for rapid space access and on-orbit testing of emerging space technologies. “Building upon the fourth mission and previous collaboration with experiment partners, this mission will host the Air Force Research Laboratory Advanced Structurally Embedded Thermal Spreader payload to test experimental electronics and oscillating heat pipe technologies in the long duration space environment,” the statement said. The rest of the flight plan remains secret. 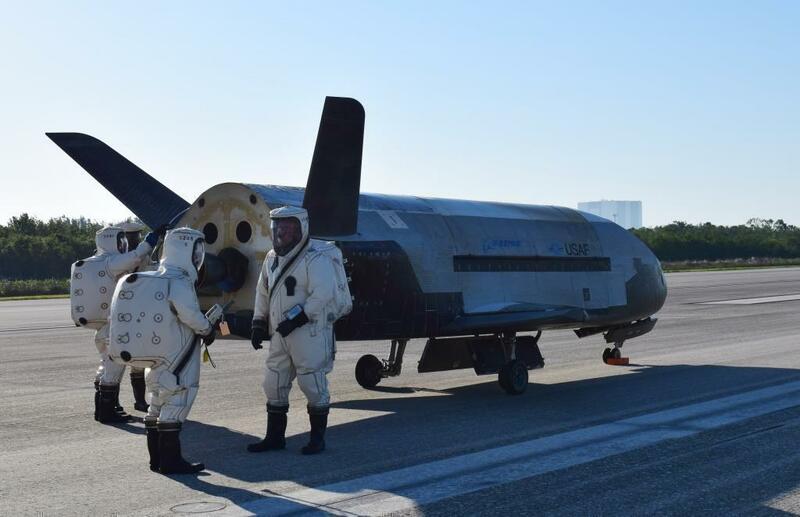 Military officials announced in June the the fifth X-37B flight would launch with SpaceX, touting the robotic mini-shuttle’s versatility in launching on different boosters. The X-37B will deploy a power-generating solar array and open the doors to its cargo bay once in orbit. 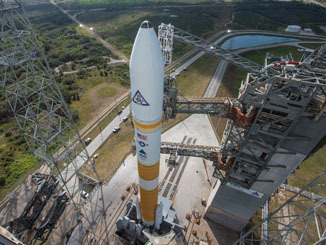 The Air Force has not said how long the OTV-5 mission will remain in space. The four X-37B flights to date have logged 2,085 days in orbit, and the most recent mission ended in May with a touchdown at NASA’s Shuttle Landing Facility runway in Florida after 718 days aloft. Built by Boeing’s Phantom Works division, each spaceship has a wingspan of nearly 15 feet (4.5 meters) and a length of more than 29 feet (8.9 meters). The X-37B weighs about 11,000 pounds (5 metric tons) and has typically orbited Earth at altitudes between 200 and 250 miles (320 to 400 kilometers). The Air Force said Thursday that the OTV-5 mission will launch into a higher-inclination orbit than earlier X-37B flights. The four X-37B missions to date flew in orbits tilted between 38 and 43.5 degrees to the equator, but the next one will reach higher latitudes on each lap around Earth. 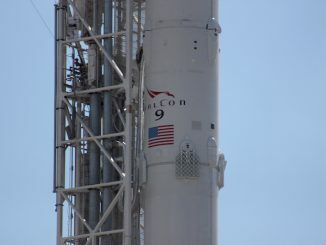 SpaceX plans to recover the Falcon 9 rocket’s first stage at Landing Zone-1 at Cape Canaveral Air Force Station a few minutes after liftoff next week. It will mark the seventh time a Falcon 9 first stage booster has attempted a return-to-launch-site maneuver for landing on the coast.